Commandment # 1. In the first three or four sentences of your oral argument you will state the factual or procedural situation. You may be working with a complicated situation. But 85% of the time you will be facing a judge who wants to listen to you only a limited amount of time. If you do not present the situation that way (shortly, and at the start of your argument), the busy judge may misinterpret the factual or procedural situation you want to address, and start mentally deciding your motion the wrong way. Once she is started on a decision path, you will have a hard time making her back up her thinking to go down another decisional path. Commandment # 2. You will state your strongest argument first, even if it is not chronologically or logically the first argument. Motions judges expect you to present your strongest argument first. If the motions judge finds your first argument week, he either forms an adverse opinion of your motion — or worse — he starts mentally arguing the other side of what you are saying, even without hearing your opponent. Even if it is not chronologically or logically first, your strongest argument should be stated first. Commandment # 3. You will state a logical theory of decision and an on-point authority. Motion judges want to be following the existing law (although it is not logically needed for purposes of job-promotion), motion judges do feel that way. The most persuasive oral motion arguments are not necessarily the most emotionally moving. 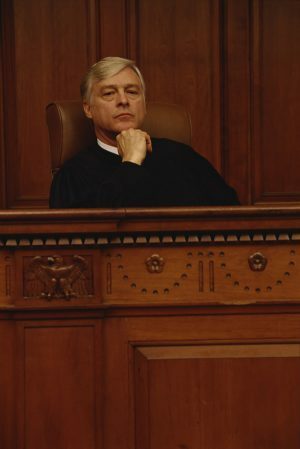 Making the motion argument emotionally moving is a plus, and best attorneys do it, but emotional satisfaction of the judge is not a commandment. Making him/her feel they are “right” with the existing law is a commandment. Every time you make your notes for an oral motion argument, start with these three commandments in front of you.